It's that time again! 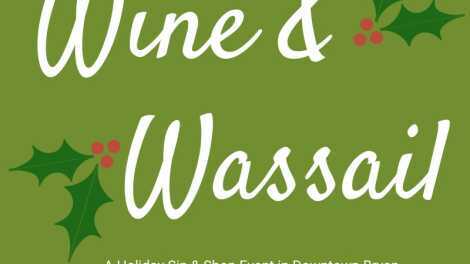 Downtown Bryan is hosting its sixth annual Wine & Wassail holiday sip & shop event on Saturday, November 30, 2019 from 4-7 p.m. During this time of year, Downtown Bryan is covered in thousands of Christmas lights and the stores are decorated for Christmas! Each store will feature one wine tasting and one holiday beverage (hot chocolate, wassail, cider, or something warm!). 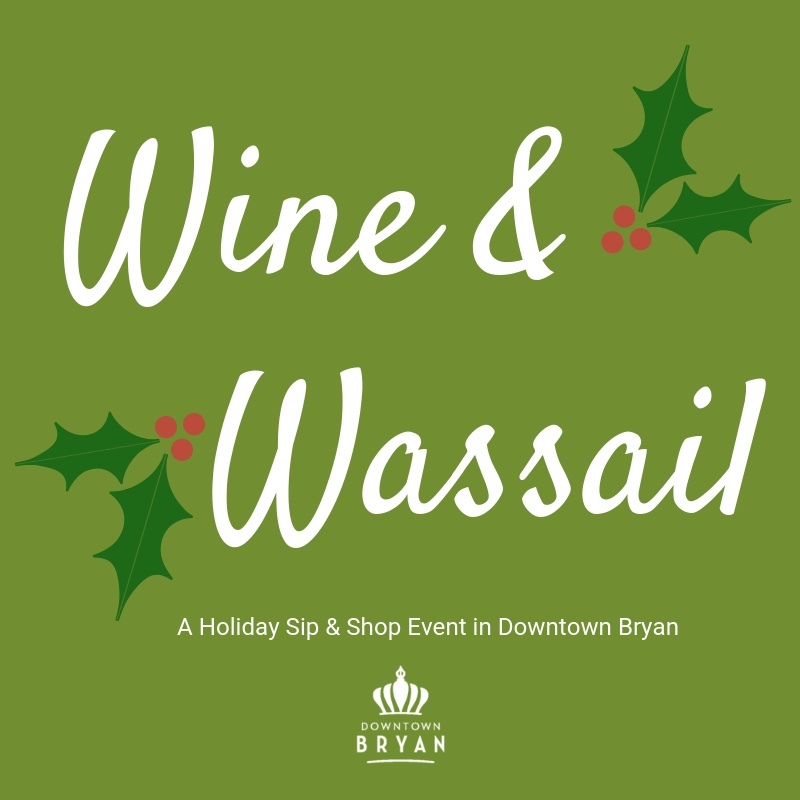 One Wine & Wassail ticket includes a keepsake holiday wine glass, a shopping bag, and a map of all of the participating merchants in Downtown Bryan. Check back for more information.